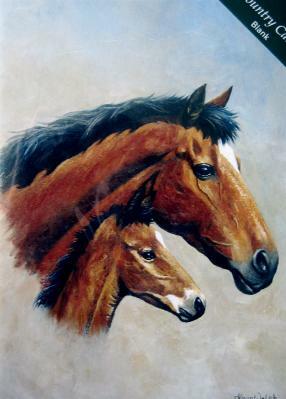 Mare and Foal Greeting Card; Lovely artwork, high quality card. A really lovely piece of artwork here from artist Kevin Walsh. Mare and Foal. The card is imported from the United Kingdom. Size is 5 x 7 inches. The card is left blank inside for your message.